VOA- Each morning, fishermen in the northern Somali port city of Bosaso pull in their catch of tuna, marlin, and more. The waters off northern Somalia are some of the richest in Africa. As businessmen and women on the beach haggle over the shining piles of fresh fish, the daily catch looks like a rich haul. But all is not well here for local fishermen. Many of them complain about larger, foreign boats that enter Somali waters, outfishing the locals. “Now there is illegal fishing, fish stealing, and so on," explains boat captain Mohammed Elias Abdiqadir. He said such foreign fishing boats come from Iran, while others in Bosaso accused Yemenis of fishing in Somali waters. "We don’t have a powerful government who can stop these illegal fishermen who are creating problems," said Abdiqadir. 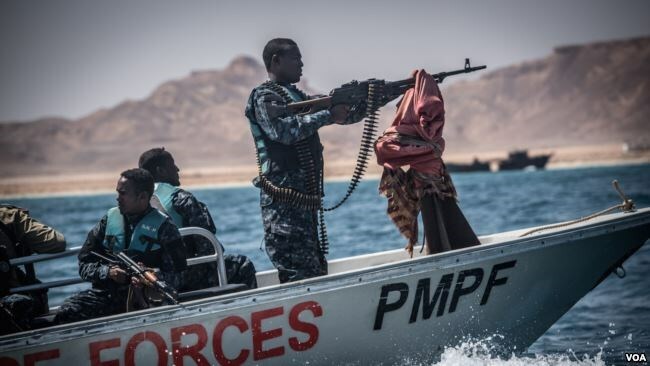 fledgling local navies, including the Puntland Maritime Police Force, which patrols the waters off Bosaso. “They fish in the deep ocean, and they have long nets and better tools than us," he said. Last year, for instance, pirates launched a string of attacks on commercial vessels off Puntland's long coastline. But the challenges for Somalia's fishing industry do not only lie offshore. Fishermen use old fishing technology. 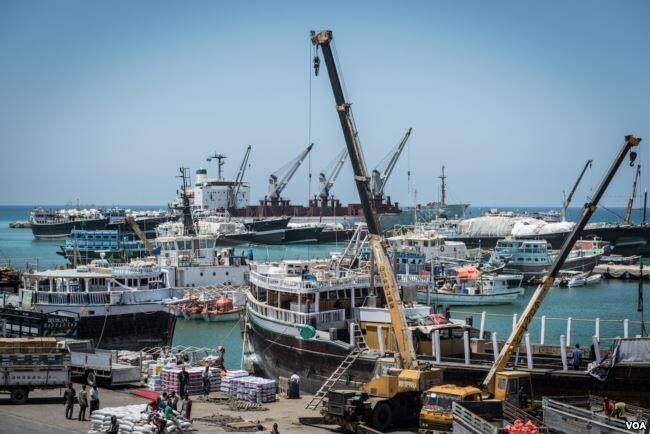 Bosaso's port needs more modern facilities to prepare fish in a sanitary environment to export. And there's yet to be a strong supply chain for exporting Somali fish abroad. 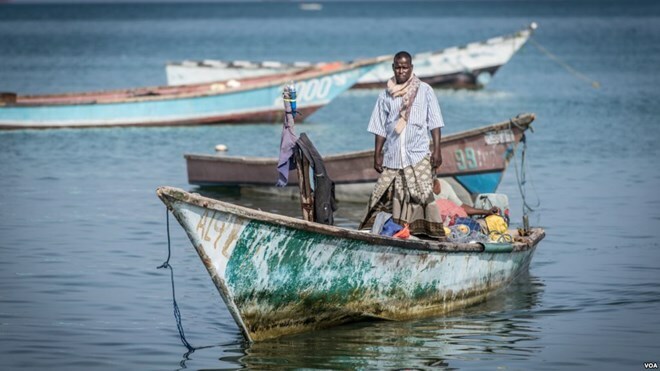 But a new program by the United Nations Food and Agriculture Organization hopes to give these parts of Somalia's fledgling fishing industry a boost. 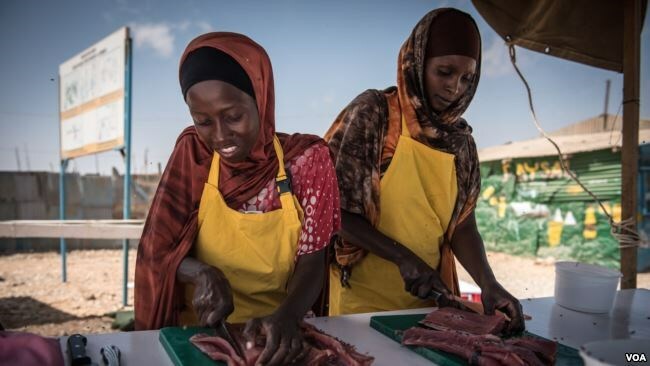 “This job works for me fine, because my home is here," explains Daawo Sheikh Mahamoud, who recently started working at the fish processing station. "Before, my kids were neglected and neighbors used to care for them for me, but now I can take care of them while doing the work in the morning." "There would be nothing better than the youth from the community catching the fish with good handling and good quality and so forth on board, and landing those fish back into their community for processing," Savins explained. "Then we'd have a really good benefit, a real holistic approach, for each community, self sustained you might say, with capture, processing, and marketing."